Realizing that young professionals are more likely to be reached via the web, the Silicon Valley Chapter has increased its online presence through Meetup and Facebook. Their Meetup Group has allowed for new individuals to find the chapter by way of location and shared interest. And advertising on Facebook has allowed the chapter to reach potential new members through targeted ads. In the last year, the Chapter has more than doubled its contact list – from 120 to 300 contacts! Congratulations Silicon Valley! 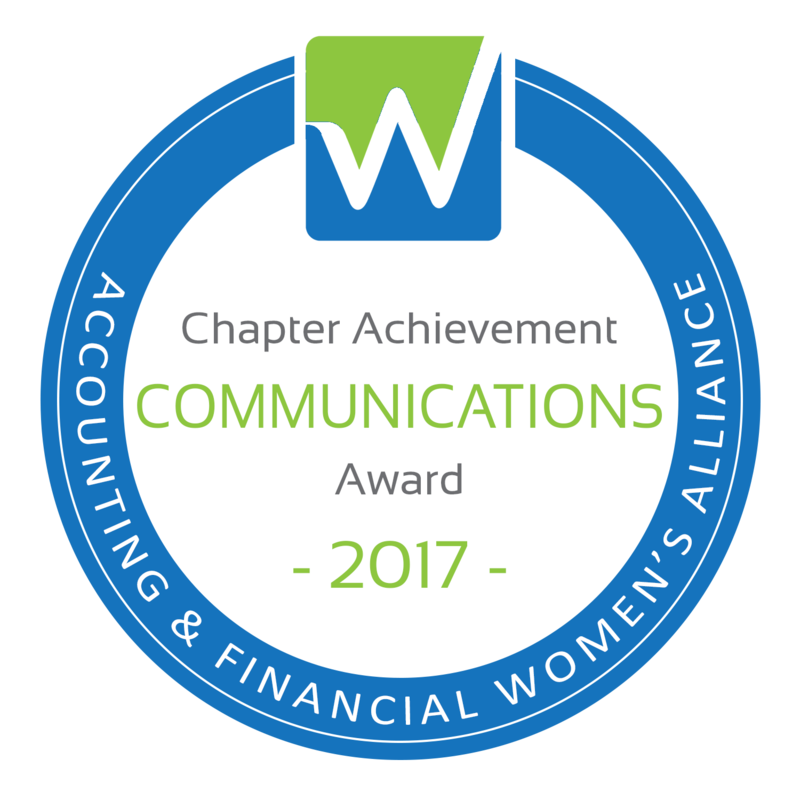 11/9/2015 (Lexington, KY) – The Silicon Valley Chapter of the Accounting and Financial Women's Alliance (AFWA) was recently recognized with a national Chapter Achievement Award in the category of Communications. The awards were announced during the AFWA National Conference held in Pittsburgh, PA in October. Through focused efforts on social media and communications through a monthly newsletter the Silicon Valley Chapter of AFWA has increased its reach, thus creating new opportunities for sponsors and potential members. "We are impressed with the Silicon Valley Chapter's commitment to consistent communications and efforts to engage Young Professionals," said AFWA National President-Elect, Linda Harris, CPA.